Then just as Ruby thinks they've made a breakthrough, she receives a sinister email, and the case takes a terrifying personal twist. With over 100 5 star reviews on Amazon I am obviously in the minority here but I was disappointed by this book. 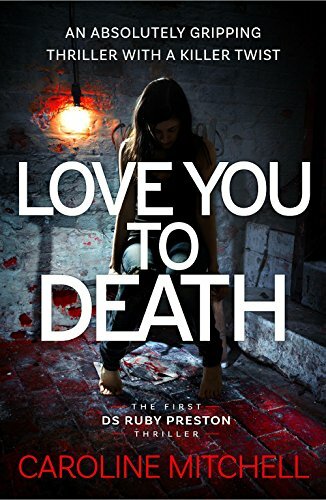 I have read and enjoyed all of Caroline Mitchells Jennifer Knight series of books, so I was very much looking forward to this new series with Detective Ruby Preston at the helm. I never connected to any of the characters and at times I felt I could have been reading a parody, particularly the Serial Killer chapters. The story itself was a good one and I hadnt guessed who the killer was but maybe that was because I found it hard to have much of an interest. I also felt that Ruby Prestons wasnt very original and I felt like I had read it before. Not much more I can say, I didnt get on with this one at all. Shame.